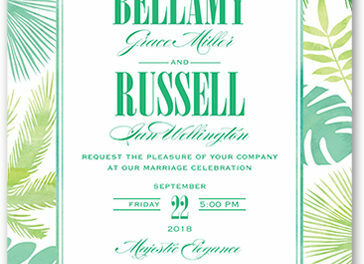 The Tropical Herald Wedding Invitation designed by Lady Jae for Wedding Paper Divas is now available in The Wedding Shop by Shutterfly. 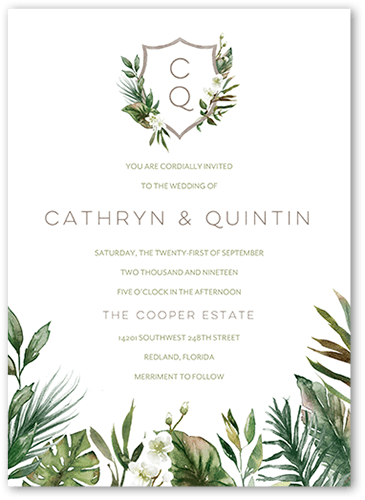 This wedding inviation features hand-drawn watercolor tropical foliage motif and a modern crest monogram. 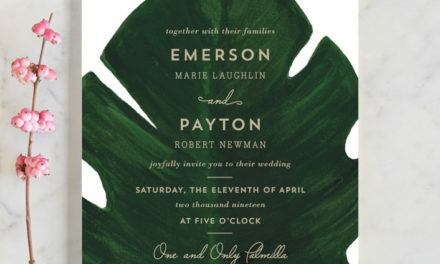 You can customize the floral color to match your wedding color.